The results were mixed. Though the Choco Pie had a more pleasing aroma and was tastier at room temperature, the Moon Pie won the microwave challenge by a mile. Conclusion: if you like Moon Pies, try microwaving them for just under 30 seconds. If you’re not a fan, just make some S’mores. Tomorrow, one more new product review: Ben and Jerry’s German Chocolate Ice Cream. Yeah, it’s a thin justification to eat more German Chocolate goodness. 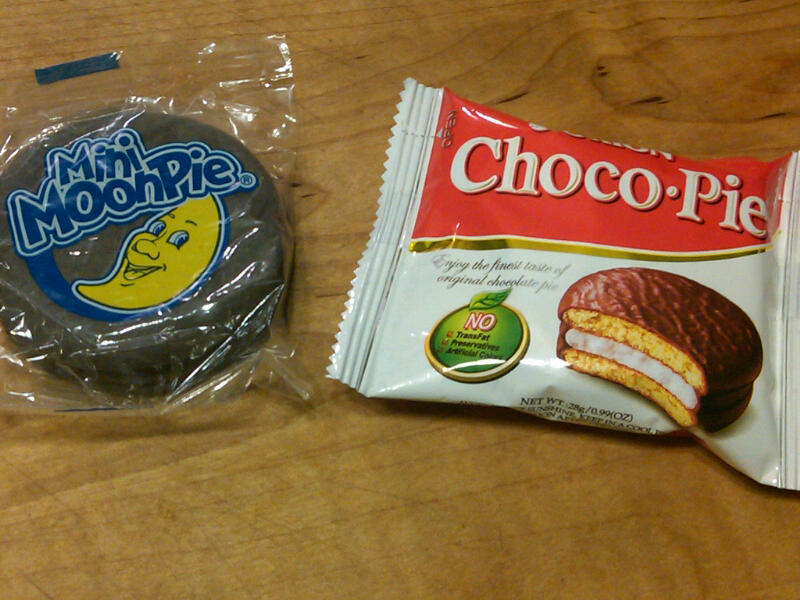 The Wikipedia says that Choco Pies are from South Korea. I grew up in New England where there are NO Moon Pies – but there is something similar – Scooter Pies. Interesting. I have never had a scooter pie. How does it rank? I’ve had both pies – the scooter and the moon – and they’re about the same. I suspect (though I have no evidence to support this) that it’s the same recipe, just licensed to another bakery. I do seem to recall that the scooter pies were larger. 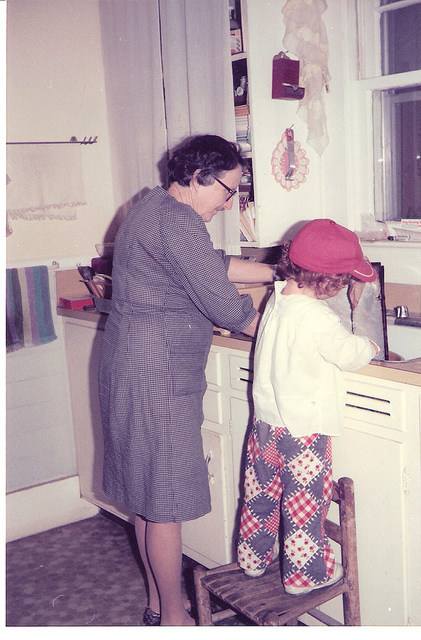 But my memory may be skewed by the fact that I was much younger (and therefore smaller) when I had them.